So you think you know Gettysburg? Prove it–take our quiz. Are you gearing up for a big weekend? I hope you’ve got plans that include fireworks and cookouts. But there’s another reason to remember this time of the year. From July 1 to July 3, 1863, fighting broke out between Union soldiers and Confederates. This battle was one of the bloodiest battles on U.S. soil, and it marked the turning point in the Civil War. I’m talking about the Battle of Gettysburg, of course. And this weekend is the annual Gettysburg Civil War Battle Reenactment. If you find yourself anywhere near Gettysburg, Penn., from July 2 through 5, head over to the park for battle reenactments, living history demonstrations, brass bands, costumes, and food. And if you’re there on July 3, you can meet James and Suzanne Gindlesperger, authors of So You Think You Know Gettysburg? They’ll be signing books at Battlefields & Beyond Military History Book Shoppe from 11 a.m. to 1 p.m. I know, you’re thinking, “I already know the Battle of Gettysburg.” You yes, you probably already know that this battle left 50,000 men wounded or killed, and it changed the course of the Civil War. This is where So You Think You Know Gettysburg? comes in. It’s the untold stories that go beyond the facts and figures you already know and gets right down to the human side of the battle. In the book, you learn of the men who fought the battle, their monuments, and the controversies that became a part of their stories. So here’s the deal. If you want to learn more about Gettysburg by owning your very own copy of the Gindlespergers’ book, here’s your chance for a free copy. Take the quiz below and email your answers to me. One week from today (that’s July 7), I’ll pick a random winner from the contestants who answered the questions correctly. So, are you ready? Go! Don’t care for Irish mysteries? Try Swedish thrillers instead. We’re back with summer reading list #2, this time from Carolyn, Blair Publisher’s president. If you didn’t care for the Irish mysteries sales director Angela offered in our last summer reading list post, maybe one of Carolyn’s suggestions will interest you. Check it out below. This summer I plan to escape to Sweden. Although I can’t afford the expense or the time off to actually go to Sweden, I plan to dive into a couple of books that will take me there. After recently seeing the Swedish movie version of The Girl with the Dragon Tattoo, I wonder if others who’ve seen this movie wanted to travel on Swedish trains as much as I do now. I was also reminded of how fascinating I found the characters that Stieg Larsson created in the first two books of this trilogy, so I’ll start my summer reading with The Girl Who Kicked the Hornet’s Nest, the final installment of the trillogy. I know, this seems to be on everyone’s summer reading list…but that’s got to mean something, right? 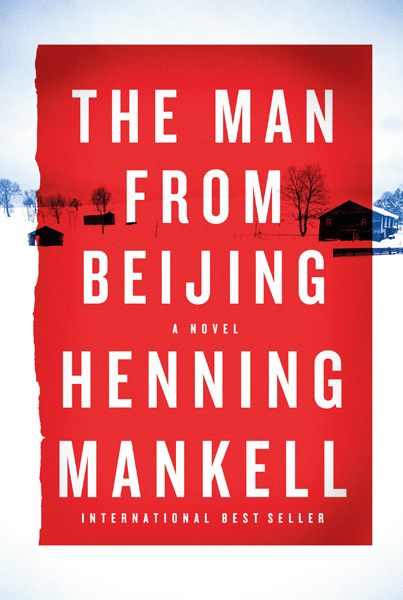 I plan to stay in Sweden with The Man from Beijing, the latest offering from another Swedish master of thrillers, Henning Mankell. I have to admit, I got addicted to his Kurt Wallander mysteries even before seeing Kenneth Branagh’s BBC performance. But in this book, Judge Birgitta Roslin tries to solve the complicated web of mysteries behind the massacre of 19 people in a Swedish village. Henning’s one fascinating man–not only have his books been published in 33 countries, but he also divides his time between Sweden and Maputo, Mozambique, where he has worked as a director at Teatro Avenida since 1986. 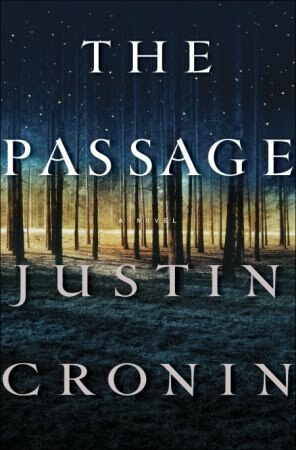 As the summer moves on, I guess I’ll leave Sweden and go off, yet again, to the world of vampires with The Passage by Justin Cronin. The Passage takes readers on a journey from the early days of a apocalyptic virus to the aftermath of destruction, where packs of the infected scour razed, charred cities looking for food, and the survivors eke out a bleak existence shadowed by fear. Hey, True Blood has started up again, so I might as well hang out with vampires when I leave Sweden–even if Cronin’s beasts aren’t the dark, handsome type. Okay, we may be a little off topic today. But it’s the first official day of summer, and in the midst of our summer reading lists, we couldn’t help but share this story about–what else?–the beach. Author Ray McAllister has so generously written up a little something on North Carolina’s beaches, a subject he knows so well he’s written three books on it. Here he shares why some people–we’ll call them beach people–can’t get enough of the islands, which include the famed Outer Banks. I’m pretty sure you’ll be ready to drop everything and hit the sand after reading this. Getting the tides right for your daughter’s big day is easy enough; there are tide charts. But try guaranteeing the weather. We sweated out hour-by-hour reports for days. All week long, forecasters offered up a rain chance of 30 or 40 percent. The cowards. Our anxiety hardly lessened when Topsail’s famed semi-annual sea turtle release, just three days before the wedding, was delayed hours by a ferocious series of thunderstorms. But Nature smiled. Saturday evening was perfect. Just a few feet from the surf of the Atlantic Ocean, our daughter and her new husband exchanged vows, then poured sand together in a unity ceremony. So why risk a wedding on a beach? Are you kidding? Where else? People who love North Carolina’s barrier islands know that. Special events are simply more special on a favorite island. But every sunrise, every sunset, every storm is more special. So is every swim, every leisurely walk, every hot dog, every book, every otherwise mundane moment. It was only five years ago that we became regulars on North Carolina’s coast. Our oldest daughter, Lindsay, and her family visited Topsail Island. They in turn demanded we go. The love affair had begun. Soon a book resulted. Other books, on other islands, followed. North Carolina’s barrier islands are intoxicating. Cares are bleached out in the sun, then washed away in the surf. The rhythms of life are different. Take this test: When you start vacation week on an island, aren’t all the cars driving too slow? It takes forever to get anywhere behind these clowns. By the end of the week, aren’t they all driving too fast? Invariably, we’re asked which is our favorite island. We finally bought a small home on Topsail this year, so that may be a hint. But it’s far from a definitive answer. Topsail, with fewer crowds, seems soothing in summer. But the same can be said of any of the Brunswick County islands, where time does virtually stand still. And there’s no more soul-stirring place than Hatteras Island, beautiful, remote, less crowded – and even a little wild. While researching a Hatteras book, though, I stayed at a Nags Head motel in the dead of winter. Hardly a soul was about, and I found myself re-engaging with Nags Head. Likewise, Wrightsville Beach. It’s a small island, attracting hundreds of thousands in summer, and often you can’t find a parking place. In the off-season, the real Wrightsville re-emerges. Barrier islands always belong to nature, in other words, and she makes that clear in winter. Take an island or leave it, but you’ll do so on her terms. Man is simply seasonal. Nature is in it for the long haul. Jamie and Paul are on their honeymoon now. They are on a fabulous cruise of the Mediterranean, making stops at historic and romantic ports of call in Spain and Italy. It’s not Topsail, of course. But I’m sure it’s nice, too. Ray McAllister is the author of three award-winning books: Topsail Island: Mayberry by the Sea; Wrightsville Beach: The Luminous Island, and Hatteras Island: Keeper of the Outer Banks. Ray, a former newspaper columnist, is also editor of Boomer magazine. He and his wife Vicki, the books’ photographer, live in Richmond, Va., and, when their beach home is not being rented, Surf City, N.C. Visit him at www.RayMcAllister.com. Looking for a great summer read? Blair can help. The official start of summer is just around the corner, which means we’ll be reading by the pool or on our way to our favorite vacation spots before you know it. We at Blair thought that it might be a fun way to introduce ourselves to you by sharing our summer reading lists. These lists might be what we’re reading this summer or what we think you might like to pick up during an afternoon thunderstorm. No affiliations or paid promotions here, just our favorite literary classics, guilty pleasure mysteries, and downright good books–that’s what you want to read, right? So to start, sales director Angela has generously written up a little post about three Irish mysteries that she recommends this summer. Enjoy! I’ve been a big fan of Tana French since she introduced me to Adam Ryan and Cassie Maddox in her first book, the Edgar Award winner In the Woods. And I loved getting to know Cassie even better in French’s second installment, The Likeness. So I’m greatly looking forward to a similar experience in her third book, coming out this July, Faithful Place, where we’ll pick up with a new story, this time centered on Frank Mackey, Cassie’s old undercover boss. All three books have lots of Dublin flavor. The connection in each book is the characters, so they’re not really true sequels, and each plot stands alone. So even if you haven’t read Tana’s first two installments, you can still enjoy Faithful Place. Darling Jim by Christian Moerk is now out in paperback. This modern gothic novel of suspense reveals, through their diaries, the story of sisters who fall in love with a beguiling stranger, Jim Quick. Jim, a bard who shows up in the small Irish town of Castletownbere, has murkier motives beyond telling tales of wolves and kings in pubs across Ireland. This book promises to be a thrilling mix of noir, horror, mythology, and fairytale. If you want to learn more about Moerk, check out his Web site, where you can also read about Moerk’s other two novels not yet published in the United States. Fans of Booker Prize winner John Banville will be interested in reading his mystery series, written under the name Benjamin Black. Elegy for April is this year’s episode, continuing the saga of pathologist Garrett Quirke, set in 1950s Dublin. While this book could stand alone, don’t miss the previous two installments, Christine Falls and The Silver Swan. I recommend listening to the audio versions, narrated by Timothy Dalton, for true Irish flair. All three books are full of devious socialite families with more than their fair share of secrets, which conservative 1950s Irish society demands for propriety’s sake. Suspicious incidents linked to the Catholic Church abound. Check back soon for more summer reading suggestions from the rest of the Blair staff! This is the final in a series of posts on the making of our first book trailer, which is created made for the upcoming Banktown: The Rise and Struggles of Charlotte’s Big Banks. Once again, here is John F. Blair, Publisher Marketing Assistant Mike Martin with an update. Showing an audience a finished work is one of the things anyone who does creative work looks forward to most. It’s also one of the things they most dread. That was on my mind yesterday afternoon as I constructed the finishing touches on the trailer for Banktown. Because of other job duties—as well as rustier-than-predicted editing skills—I’ve been working on the trailer longer than planned. And because of the delay, I had a feeling folks in the office would have pretty lofty expectations. During the process, when inspiration failed—as it often did—I watched another book trailer I’d found particularly effective: God is Not One. If you haven’t watched it yet, do: It’s a perfect commercial, a quick primer for both a great non-fiction work and a terrific, interview-friendly author. Still, I’ve wanted since the beginning for the trailer to feel ominous, so imitation of that sunny work, however fine, wouldn’t get me far. And there were the challenges I hadn’t anticipated: How do you make this video ominous without being sensationalistic? How do you create a cinematic sense of build and rhythm in the structure of the book trailer? And heck, how do you make it clear that this is an ad for a book, not a movie, without talking down to an audience, or seeming redundant? Answer: By working really hard. And then hoping your audience doesn’t hate it. And I did work hard. And—thankfully!—people seemed to love the trailer. It was a delight to get the hoped-for responses—from people going Oooo, spooky! about the cinematography to complimenting the music choices. But as gratifying as it was personally, I’m much more excited that the trailer will be helpful to us to promote what I think is a special book. Banktown will hit streets this September. But you’ll be seeing the trailer—maybe in some surprising places—before then. We’ve already come up with what I think are incredibly unique and exciting ways to use it to create a buzz for the book. Until then, here’s a preview of the trailer. If you enjoy watching it half as much as I enjoyed making it, we’re both lucky. In an earlier post, I promised you a monthly column by publishing whiz and company president Carolyn. May slipped past us this time while Carolyn was attending Book Expo America (BEA) in the big apple, but she’s back this month to update us that was going on there. BEA–the premier event for publishing industry pros–is where you have to track the trends in book publishing. For me, this year’s Book Expo America was technical overload. Rather than buy the argument that the digital age means the destruction of the physical book, I prefer to believe that this is an exciting time in publishing. When someone from Voyager Japan Inc., a mobile phone app company, announced during a BEA panel discussion that they sold more than $600 million e-books last year–with 80% of those to Japanese women in their twenties–I began to envision the possibilities of expanding the small number of leisure-time readers we have in this world. Sure, those women were reading Manga comics on the subway, but who says smaller publishers can’t find the next Manga comic fad? Just as Harry Potter books torpedoed the theory that young males were not readers, I think the digital age is going to bring a whole new audience to our industry. And with that new audience comes new products. Two in particular caught my eye at BEA. The first is Google Editions, Google’s forthcoming online e-book store set to open in mid-summer. Purchases made at the universal-access bookstore will be stored online and linked to a customer’s Google account. Google Editions is giving independent booksellers an opportunity to participate in e-book sales, which is good news for us. I like that Google is going to make it relatively simple for publishers without expensive IT staff to have a relatively level playing field in the e-book market. Times are certainly changing in our industry, and we’re still testing the waters to see what works and what doesn’t. I hope you hang on for the ride. Remember our post about award nominations for the Benjamin Franklin and IPPY awards? Well, the winners have been announced, and we’re so pleased we couldn’t stop ourselves from the results. Not only did several Blair authors take home some of these awards, but several authors at our distributed lines did as well. Check out the details below. Blair authors took home two silvers from the Benjamin Franklin Awards: one in popular fiction for The Middle of the Air by Kenneth Butcher and one in the recreation/sports category for Chasing Moonlight: The True Story of Field of Dreams’ Doc Graham by Brett Friedlander and R.W. Reising. Helen Kraus and Anne Spafford also took home a Ben Franklin award in gardening/agriculture for Rain Gardening in the South, published by Eno, another independent publisher in North Carolina. Congrats to Helen, Anne, and the folks at Eno! Our authors also did pretty well at the IPPY awards this year. We are tickled pink that David Magee took home the gold in Southeast regional nonfiction for The Education of Mr. Mayfield: An Unusual Story of Social Change at Ole Miss. Brett Friedlander and R.W. Reising won bronze in biography for Chasing Moonlight: The True Story of Field of Dreams’ Doc Graham, Kenneth Butcher took home a bronze in southeastern regional fiction for The Middle of the Air. We’d also like to congratulate several authors at our distributed lines. Suzy Barile won a silver award in southeastern regional fiction for Undaunted Heart: The True Story of a Southern Belle & A Yankee General, published by the fine folks at Eno Publishers. And two Hub City Press authors took home awards as well: Brian Ray won gold in southeastern regional fiction for Through the Pale Door, and C. Michael Curtis won silver in short story fiction for Expecting Goodness. So overall, a job well done, don’t you think? We couldn’t be prouder of our authors, at Blair and at our distributed lines.